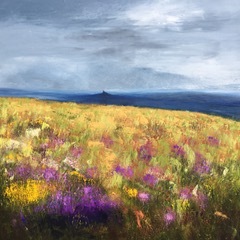 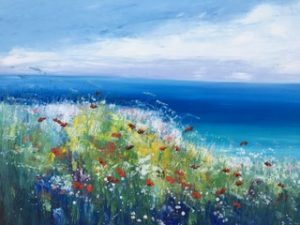 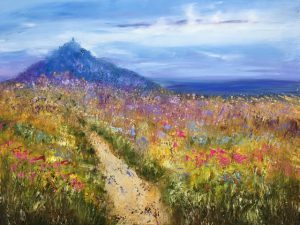 Laure Bury is a Devon-based artist known for her large vibrant and dreamy oil landscapes, seascapes and colour compositions with butterflies and wild flowers. 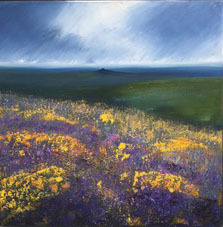 Her work is exhibited nationally and internationally and she has exhibited at the Mall Galleries in London. 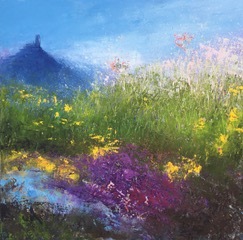 Laure has travelled the world for inspiration but sometimes simply finds it in her own cottage garden on the edge of Dartmoor. 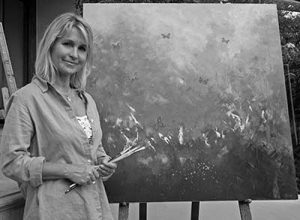 She says that to create a picture is a process “like a dance, with loose and broad movements, splashing, scratching and watching the painting evolve almost by itself; evoking the beauty of nature. 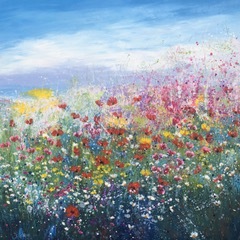 The message is peaceful and invites the viewers to rejoice in life.